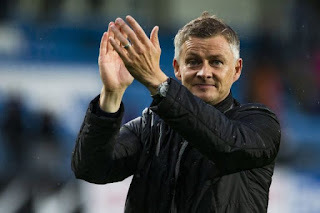 Manchester United interim manager, Ole Gunnar Solskjaer, has handed club’s executive chairman, Ed Woodward, a list of players to leave Old Trafford during the summer. Daily Star reports that Solskjaer wants Ed Woodward to sell out Antonio Valencia, Marcos Rojo and Alexis Sanchez at the end of the season. Solskjaer has made a major impression since being put in caretaker charge following Jose Mourinho’s sacking in December. The Norwegian has won 10 out of the 13 Premier League games since his appointment and reached the Champions League quarter-finals, where they will tackle Barcelona in April. Solskjaer had said earlier this week that he is now working as if he will remain at Old Trafford for many years. According to him, “It is clear that I am now working as if I will stay at Man United.